The question was posed in a hand-written letter, posted to Times Media in an envelope bearing a Pretoria post mark. The writer claimed it was difficult to find even basic groceries in SA “without a Halaal sign” and then listed a host of companies which produce products bearing Halaal certification. I ran the letter past a few of them and it turns out Anonymous is way off the mark. “Nestle South Africa absorbs the costs for certification of all products for all religious groups,” a company spokesman said. “South Africa is a very diverse country and we respect the diverse religious beliefs of all its consumers. 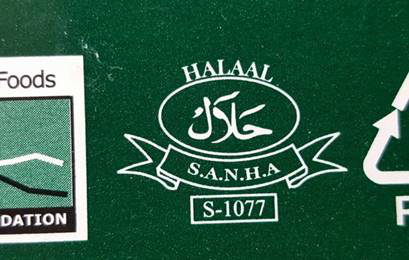 Corporates do not pay “a Muslim person” to certify their products Halaal; they pay various certifying bodies. “All major retailers use the services of four certifying bodies: SANHA, ICSA, NIHT and the MJC,” said David North, of Pick n Pay’s corporate affairs and group strategy. “Certification costs are negligible and there is no charge passed on to our customers. The manufacturing industry does pay Halaal certification bodies a small fee, said a Shoprite spokesman, but the cost was “negligible" compared to the financial impact that establishing parallel production facilities to produce non-Halaal products would have on the cost of basic consumer goods. True to form, the country’s consumer rights champion, Ms Wendy Knowler has debunked unfounded and unsubstantiated false allegations by extremists on Halaal certification. SANHA is a registered non-profit organisation and its audited Financial Statements are presented annually at open public meetings and disseminated in the media. Its core activity is Halaal and in terms of its charter no funds can be utilised for any other purpose except for enhancing and developing its monitoring and certification systems. And yes, as Ms Knowler has demonstrated, Halaal certified products do not cost any more than other generic ones.